This all-in-one stopper creats a vacuum space without an extra pump, and eusures a tight seal. 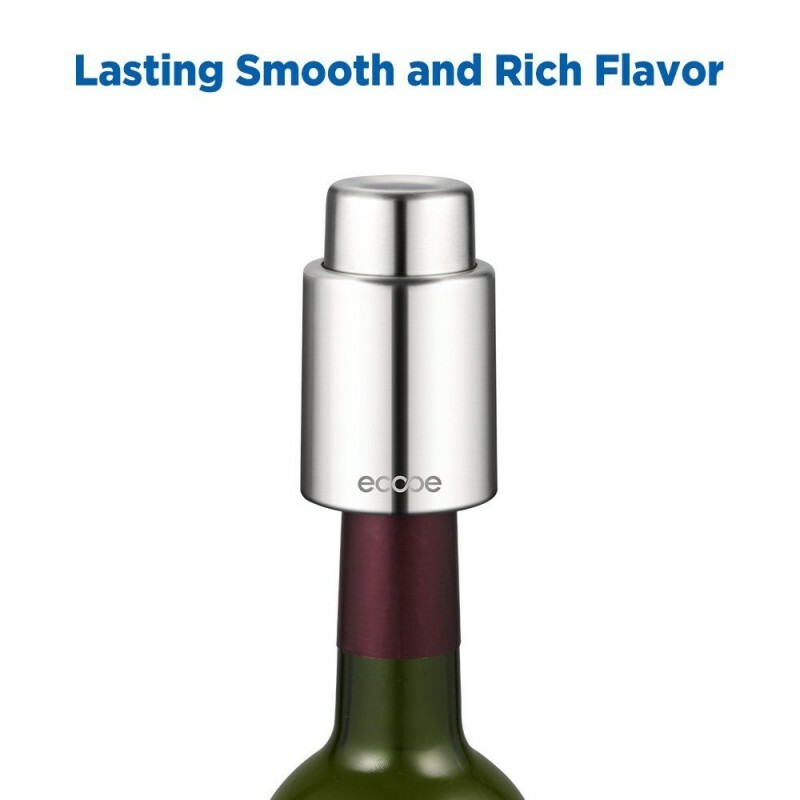 Just squeeze out the air inside the opened bottle, and it will keep your wine fresh for days to drink. 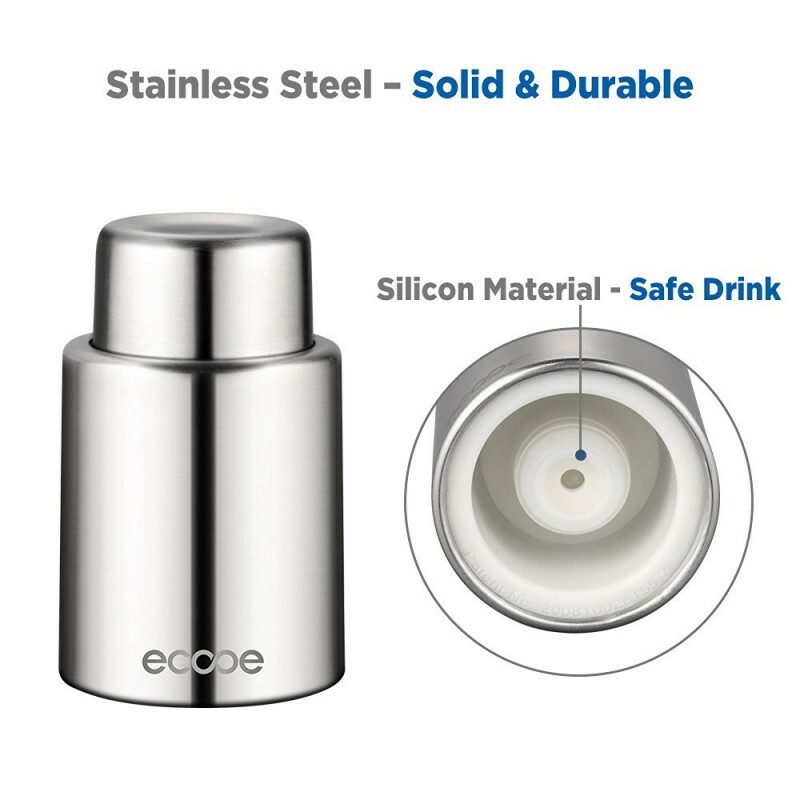 Premium stainless steel is bulit to last, and the brushed finish matches with any decor. 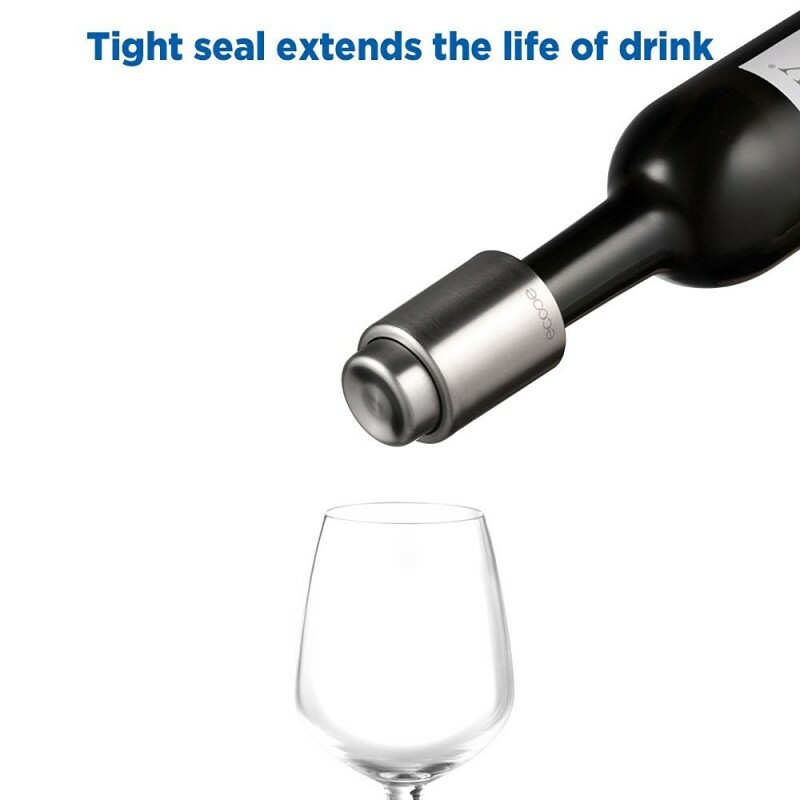 The food-grade silicone ring keeps the wine securely inside the bottle, so you can store the wine on its side in fridge. 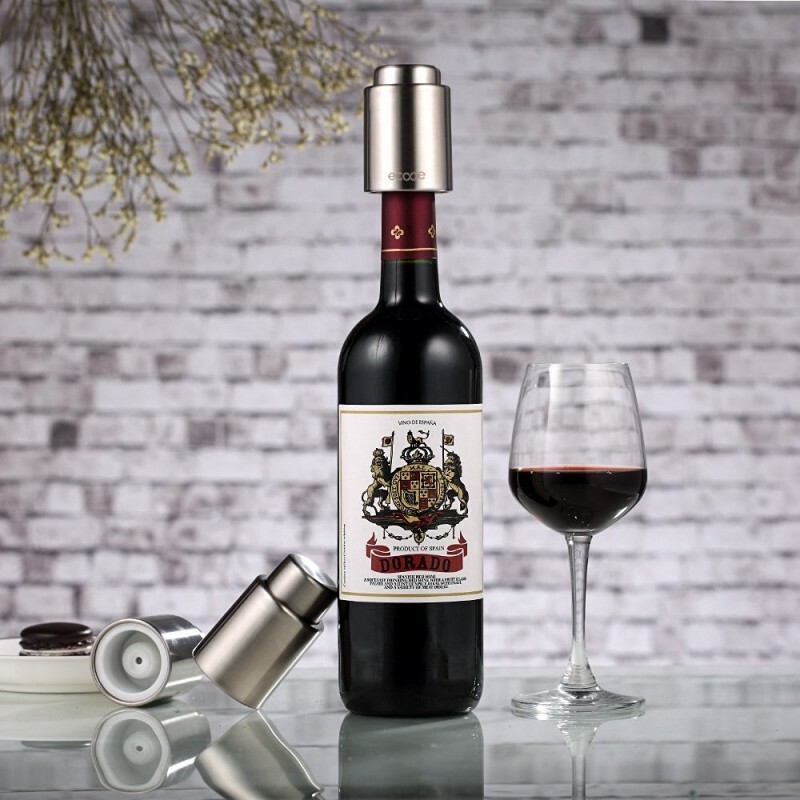 The bottle stopper fits well with almost all standard wine bottles. 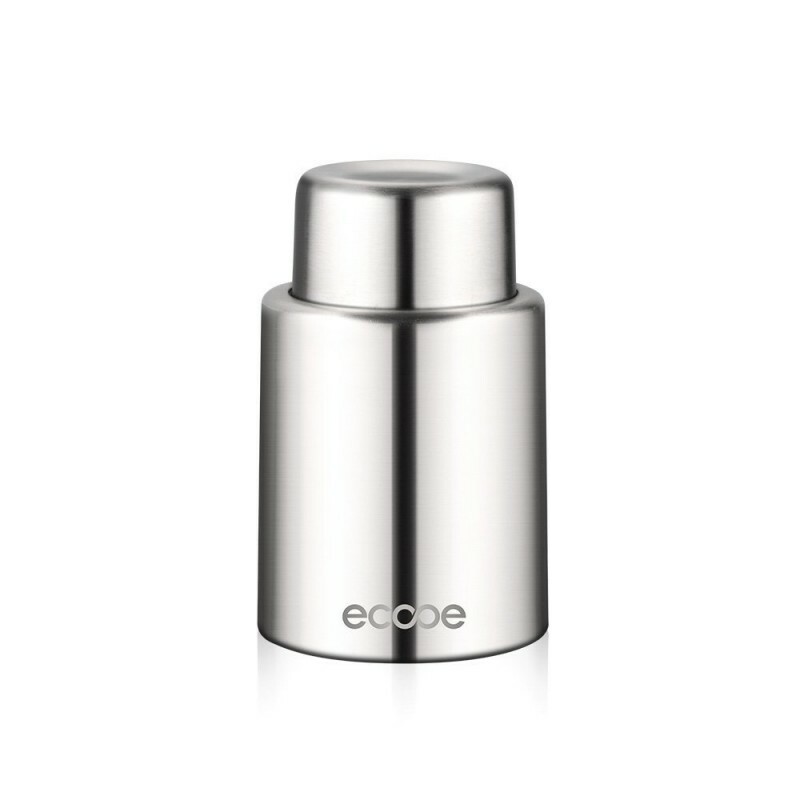 Besides, the cap shape is easy to put on and wraps tightly around the top of the bottle.